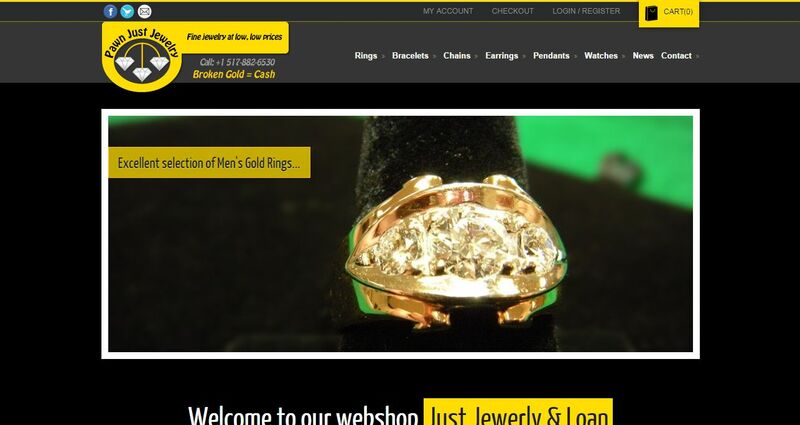 Pawn Just Jewelry address, phone, website, hours of operation, and more. Pawn Just Jewelry opened in 2007. The owner, Joesph Boulos, retired from Michigan State University maintenance and was looking to start a business. With no idea of what type of business he should start, he consulted with family and a few friends. The idea of a pawn shop, dealing only with jewelry, came into view. The risk was high. Joe would have to draw cash out of his retirement to start a business he had no experience in. He decided it was worth the risk and started going to estate sales, jewelry auctions in Detroit, MI, and other pawn shops buying mostly costume jewelry and as much fine jewelry as he could afford. After a buying spree of about 6 months, Joe decided it was finally time to open the doors of Pawn Just Jewelry. His shop was small and in a building that had very little parking space. The space he leased was in a building owned by his brother John. John let Joe have the space for the first three months at no charge to help him get on his feet. The doors opened and nobody showed for the first 6 days. Joe was left thinking this may have been a bad idea. He told his wife to watch her spending because she may have to cover the mortgage this month. In Joes first year, he made very little money but, more importantly, made a lot of customer contacts. He also grew his inventory of fine jewelry to display for sale. In the second year, his business was becoming more established in the community around him and he gained a handful of regular return customers. Parking was starting to become an issue that he would have to deal with soon. By his third year, Joe decided it was time to move to a bigger shop with better parking. Luckily there was a business, right down the street from him, moving out. Feeling like this was the area he needed to be in, he quickly made arrangements to move in the new space. This move was the turning point in his business. The new store has its own private parking lot and is located on a major intersection on the south side of Lansing. Now in his 5th year, business is steady and growing daily. 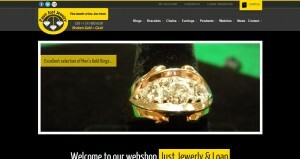 He has turned his inventory into an excellent selection of fine jewelry at very low prices. He is now proud to extend these prices to anyone in the nation through this website. If you’re looking for unique fine jewelry be sure to bookmark us and check in with us daily. We add new inventory to the site daily.